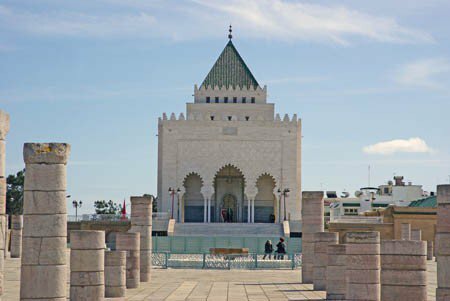 Located in the capital of Morocco in Rabat, the Mohammed V Mausoleum is an essential place in the city and is also a place of meditation. In this Mausoleum lie the previous kings of Morocco. It represents a real architectural jewel that was designed by the Vietnamese architect Eric Vo Toan and built by 400 Moroccan craftsmen. This impressive place, both inside and out, is well worth a visit!